This week is all about Halloween ideas. 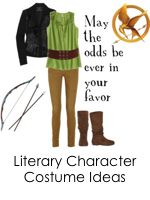 On Thursday, we're sharing some literary costume ideas. And since today is Tunesday, I thought it would be perfect to share some fun costume ideas inspired by music's icons. These are all pretty easy to recreate with your own wardrobe at home. Basically, to pull of Janis, you need big hair, big round glasses, some fur, feathers and lots and lots of accessories. And a big smile. You could go so many different routes with The Beatles, but I personally enjoy the Sgt Pepper's avenue. Neon jacket, round glasses, and a stache. I'm a personal fan of the fu manchu. 3. 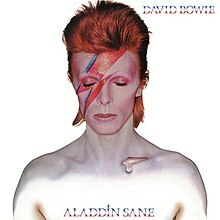 All you need is some face paint and you have David Bowie or a Gotye music video. I love the idea of girl-a-fying a male look. Good luck getting that song out of your head now. Those are just a few ideas I came up with. There are SO many more you could go with. Ha ha! That is Jonathan circa 2007. 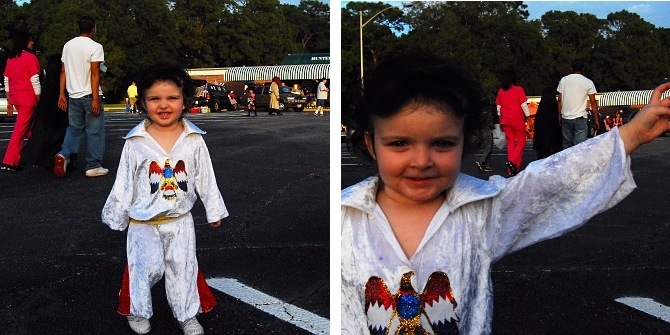 He was 2 years old and he made an excellent Elvis. He won awards and stole hearts with that get-up. We even taught him to shake his hips and throw his arm up. You can't see it well in this picture, but we did spray his hair black and draw on sideburns. It was to die for. Do you have any other musical costume ideas? Have you ever dressed up as one before? These are so adorable! I love the baby Elvis costume! I like the Sgt. Peppers jacket! Hi there, found you through the sponsor post at Life:Oceanside! Loving your blog - and I looove the Janis Joplin look! Not sure how I'd look in round spectacles but the rest of it...I'd totally wear that NOT on Halloween, haha. Love this, especially the buddy holy, Sooooooo fun! I love these ideas!! Janis is one of my all time favourites! Most people don’t realize this, but many people LOVE to send online gifts that are adaptations from gifts. we know this and there is no shortage of good gifts and we are trying to give you many gifts on cheaper price you can get more gifts any place of India. There is many Beautiful gifts . send your favorite flowers gifts http://www.blossomsquare.com a great place to find online gifts.